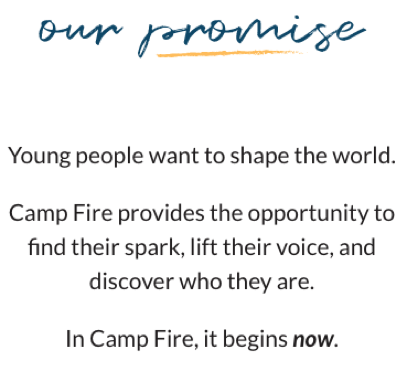 The second part of our Camp Fire promise is to help young people lift their voice. 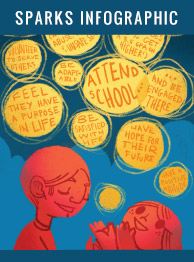 This is more than just learning to express their feelings or speak up for themselves and others. We promise to give kids the opportunity to lift their voice inside of Camp Fire itself. The promise doesn’t mean anything if we’re not practicing what we preach! That’s why we seek young people’s input at all levels of Camp Fire. In positive youth development circles, the short-hand for integrating young people into a program’s leadership is “youth voice.” Appropriate, huh? We need you on the Youth Advisory Cabinet! Want to do more to put young people in charge of their own programming? 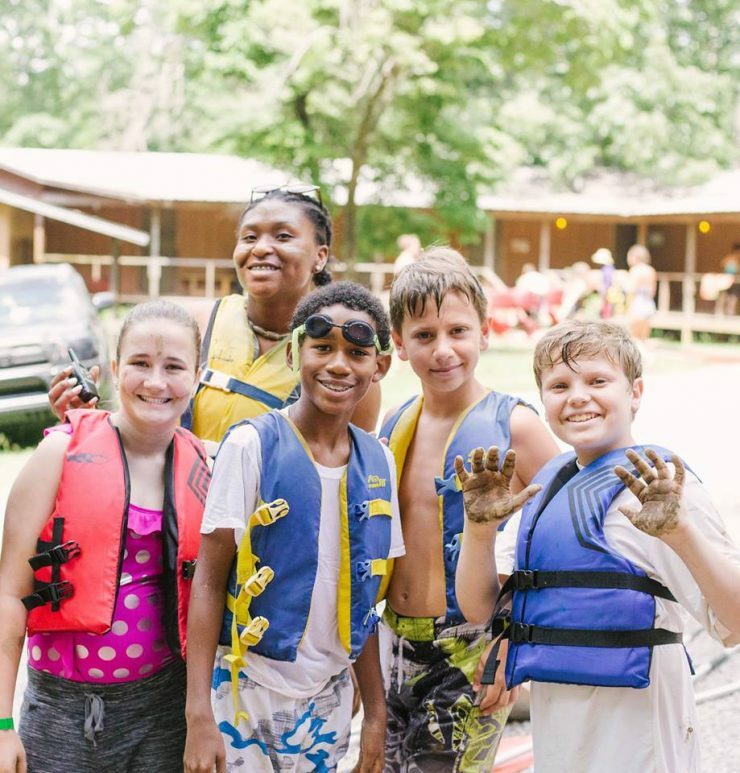 Volunteer with Camp Fire or Donate today! Grab your free Sparks Infographic!